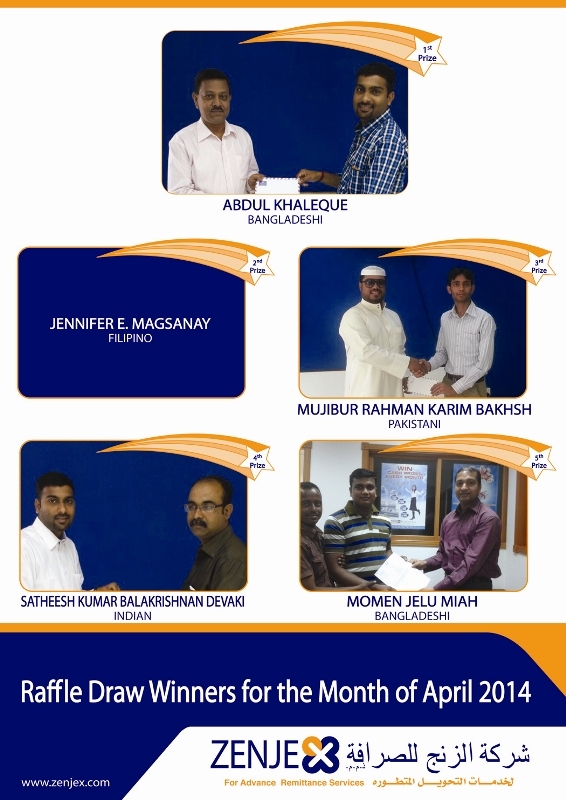 WINNERS FOR THE MONTH OF APRIL 2014 RAFFLE DRAW Congratulations to the April winners! Remit through Zenjex and be our next lucky winner !! !